The iPhone app for Dropbox had provided support for manual upload of photos and video to your shared folders in the past, but today I received an update notice for a version that allows you to turn on automatic upload of your media. 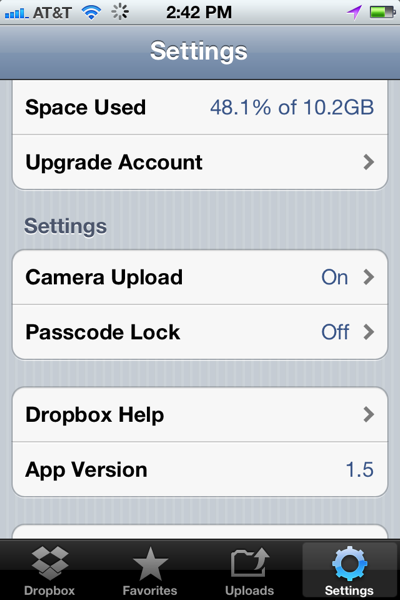 Set the Camera Upload option in the new Dropbox app and your media will be uploaded automatically to your Camera Upload folder and then available on any other systems linked to your Dropbox account. I have been using this feature on my Macbook Pro for a while now and really love the convenience of having my photos wherever I go.